Every day product leaving the refinery has to conform to stringent international or national specification requirements. In order to achieve the fine degree of control, extensive monitoring of crude oil feed stock, intermediates and final products is conducted with the aid of modern sophisticated analytical equipment in our Quality Control Laboratory. Usage of NRL produced base oils by numerous national and international lubricating oil companies for producing world class lubricants authenticates the supreme quality of our lube base oils. NRL strives to satisfy the customers by providing best products within specifications. The role of NRL Quality Control Laboratory is, however, not limited to Quality Control alone. Research and Development work is carried out to give a basis for innovation in processes and products. NRL Quality Control Department, which was certified to ISO 9002 Quality Management System in the year 2000. 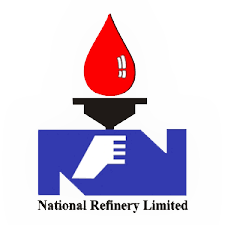 Currently entire Refinery is ISO 9001:2000 certified under Integrated Management System (IMS), which include ISO 14001 and OHSAS 18001.